Finding the right makeup is hard enough, the last thing we need is to put on stuff that would aggravate our skin. We want to break this cycle and get it right, from skincare to makeup. PREVENTION is always better than cure. Using high-quality, NON-COMEDOGENIC products is one of the keys to preventing breakouts. 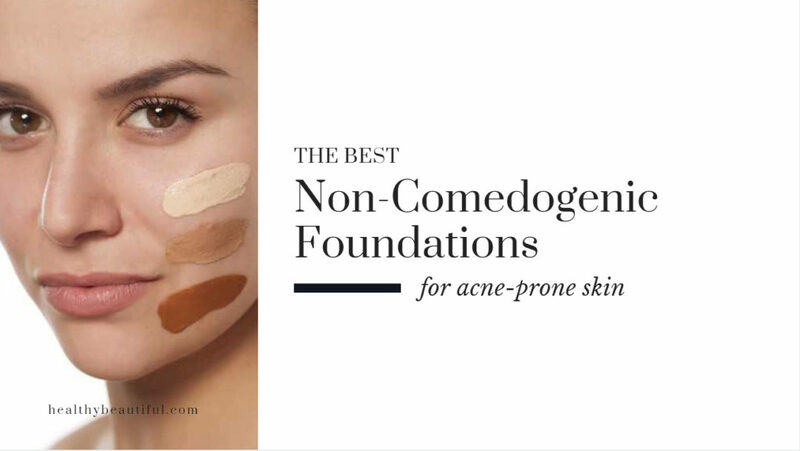 Non-comedogenic means the product is specially formulated to not clog pores. This is a crucial feature for those with oily skin and/or acne-prone skin. There is a laundry list of foundations out there, but we’ve curated only the best based on our experience and other consumer reviews. Make sure to check the Best For: line to see which one is most suited for your needs. These are our choices based on our experience, formulation, claims, value for money, and consumer reviews. 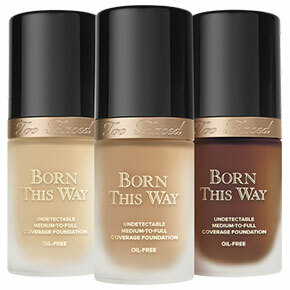 Make sure to choose the foundation that’s best suited for your skin type and skin issues. This minimal-to-full coverage, lightweight foundation comes with a unique dropper that has a high concentration of 33% makeup pigment. This multi-use liquid has a water-free & oil-free formulation that’s weightless and silky in texture. With only 10 ingredients, you get makeup pigment at its purest—and a little goes a long way. What elevates this from the rest, however, is that it’s a foundation that you can use alone or mix with your favorite skincare (like a moisturizer, serum, oil, or sunscreen). 1-4 drops create a weightless suspension that provides blendable, buildable coverage. You create your own formulation for a custom foundation finish that can double as skincare. And because you only use so little, this is definitely value for your money. Set with a loose powder, it wears for up to 16 hours. 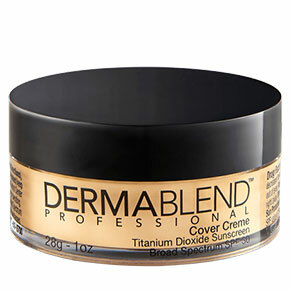 Use with the Dermablend setting powder for a smudge- and transfer-resistant finish. Available in a wide variety of true-to-tone, fade-proof shades that’s never cakey or mask-y and provides an even, natural look. Also works very well as a concealer for me. Dermatologist-tested for safety. Allergy-tested. Sensitive skin-tested. Vegan formula: No animal-derived ingredients or by-products. Shake well to apply as is. For multi-use, 1-4 drops on the back of your hand or a makeup mixing plate and blend. Apply with your fingers or buff with a brush. Personally, I don’t use a sponge for this because it soaks up product and you’ll always end up needing more drops. When starting out with mixing, you’ll need a bit of patience as it’s a trial and error with your skincare. From experience, some combinations worked like a charm (Elta MD), some didn’t. You can add a luminizers or liquid highlighters if you’d like to cut down the matte finish. This anti-aging treatment foundation has compounding benefits that work not only to polish the skin but also to nourish and protect it in the long run. This is an investment piece that helps nurture healthy skin while providing you with a flawless finish. Organic Argan Oil and its plant-based micropatch boost hydration to increase the skin’s suppleness. Clarin’s age-defying complex smooths fine lines and wrinkles for an even canvas. 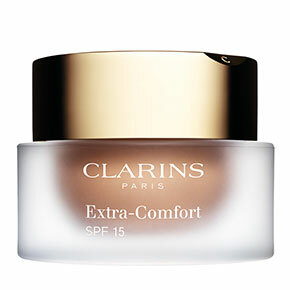 Another Clarin’s exclusive—a light optimizing complex instantly captures, diffuses, and amplifies light. All this combined visibly reduces imperfections and leaves your complexion even-looking and youthfully radiant. This is a cream foundation that’s medium to buildable full. It’s easy to spread, blends beautifully, and sets to a natural, soft-focused finish. Available in 8 shades, ranging from light to olive. To top it all off, it also provides triple protection from free radicals, pollution, and UV rays. Start from the middle of the face towards the outside. From the chin, continue to the nose towards the cheekbones. Finish with the forehead. Blend from the neck to the ears. To set your foundation, use your hands to press down slowly and gently. Start from the inside again, and work your way out. The packaging can be messy to travel with, but can easily be resolved if you decant it in a travel container. If you have oily skin, it might not hold up after a few hours, especially during the summer. I’d recommend going with an oil-free and/or mattifying foundation instead. This performs better imo for those on the drier side. It’s a luminous product that may highlight acne scarring if you have any. I’d recommend using a primer first as a heavy-duty filler, before putting this on. It has a pretty strong smell, FYI for those who may be bothered by it. This iconic ultra-lightweight foundation features a unique light-reflecting pigments that give it a soft, luminous glow. Its blend of micro-fine Radiant-Pearl Mica helps to even out skin tone and soften the appearance of wrinkles, pores, and fine lines. It has a sheer to medium buildable coverage with a stay-true color that flatters the skin’s natural complexion without masking it. The effect is so natural that it feels like it blends and sinks into the skin instead of just sitting on top like most cakey foundations. It also provides an extra boost of long-lasting hydration and a dewy glow. It indicates that it’s suited for all skin types. However, from experience, I wouldn’t recommend this for those with very oily skin or have noticeable acne scarring (Opt for matte formulations instead as the light can emphasize textured scarring.) I would recommend this for those with dry to normal skin looking to improve a dull complexion. If you have any stand out blemishes, just apply a concealer on top and blend out the sides. Make sure to shake well, place a small amount at the back of your hand and apply to your face with a sponge or your fingertips. I have acidic skin, and this oxidises on me. Whenever this happens, I make sure to buy foundation that is one to two shades lighter than normal for a perfect match. From experience, not that great in controlling oil. 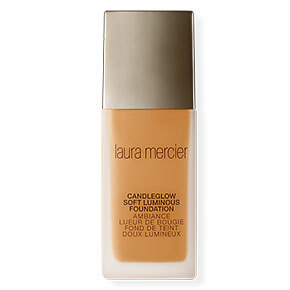 This cult-favorite oil-free foundation blends in flawlessly to give medium to full coverage. The consistency is a bit creamy, and gives instant coverage with ease. The pump dispenser gives small amounts at a time and allows you to layer as desired. It’s infused with Alpine Rose to brighten the skin and promote elasticity, as well as coconut water to help replenish the skin’s moisture levels. It also has hyaluronic acid to provide constant skin-balancing hydration for a more youthful appearance. It’s quite hard to find a medium to full coverage foundation that doesn’t dry out and cause dry patches, so this is definitely recommended for those prone to dehydrated skin. This is a long-wearing foundation that lasts up to 12 hours. It’s photo-friendly as well, with no flashback. Formulated without Gluten and Parabens. Apply with a sponge, a kabuki brush, or your fingertips. Start from the center of the face and work outwards. Apply additional layers until you’ve achieved your desired coverage. From experience, it has a tendency to settle into lines so make sure it’s blended well. Also from experience, it can oxidise on acidic skin. Try getting one that’s one or two shades lighter than your normal foundation color. 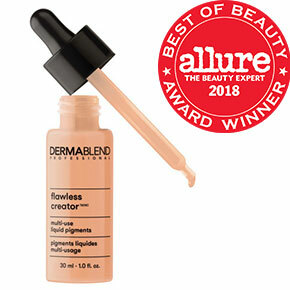 If you’re full coverage all the way, Dermablend’s crème foundation may just be your holy grail. It’s one of the best full-coverage foundations on the market and one of the rare that provides all-day, non-comedogenic wear. This is formulated for the most sensitive skin and gives all-day hydration with broad-spectrum SPF 30 for the ultimate skin protection. It has high-concentration, high-performance pigments that perform as well as a cream concealer. It also has a natural finish that glides on evenly, never cakey or mask-y. When set with the Dermablend setting powder, this can stay for up to 16 hours of consistent smudge- and transfer-resistant color wear. On the downside, it can stick too well that you may need a makeup remover or cleansing oil to take it off fully. Formulated without: parabens, fragrance, phthalates, triclosans, sodium lauryl sulfates. Ultra-coverage for pigmentation and uneven skin issues (scars, hyperpigmentation, birthmarks, burns, lupus, vilitigo, and other port-operative and post-procedure concerns). Make sure to warm the crème with your fingers by rubbing the product in a circular motion. You can then apply on your desired area. You can then build coverage by adding additional layers until you get your desired look. For 16 hour wear, apply the Dermablend setting powder, leave for 2 minutes, and buff off. Can be used as a concealer and contour by applying a lighter or darker shade.